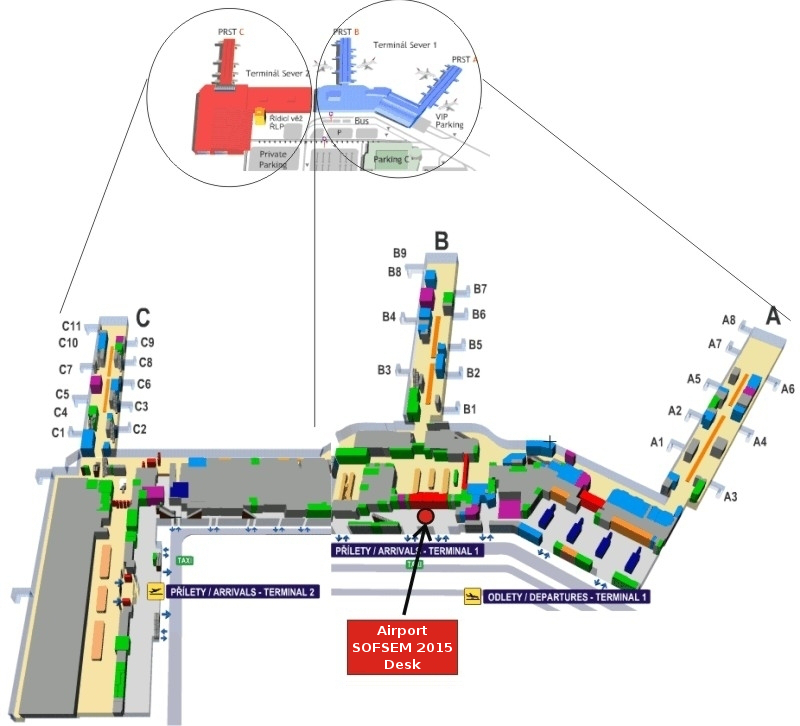 The SOFSEM 2015 organisers will offer you an assistance at the Prague Airport SOFSEM 2015 Desk located in the arrival hall at Terminal 1 (North) by exit D. The Airport SOFSEM 2015 Desk will be opened on January 24, 2015, from 14:00 to 17:30. The transportation from the V. Havel Airport Prague to Pec pod Sněžkou will be provided by two conference buses on Saturday, January 24, 2015. 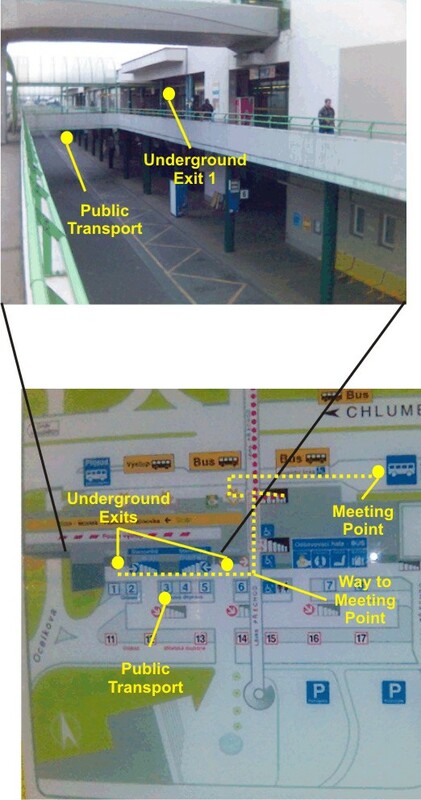 The conference bus will start at the airport and will have a stop at Prague – Černý Most bus terminal – the stop for chart busses (see "Meeting Point" at the Černý Most map bellow) located at Chlumecká Road near a viaduct. Bus terminal Prague – Černý Most at 18:30.
the second bus leaving at 9.00 will have a stop at Prague – Černý Most (we plan its arrival to V. Havel Airport Prague after 12:30). Use city-bus No. 100 from V. Havel Airport Prague to underground station Zličín, yellow line B (takes about 20 minutes). Take metro from underground station Zličín to a bus terminal – either Černý Most (takes about 50 minutes) according to the selected bus. For further details see Official Website of Prague Town Transportation. The Pec pod Sněžkou — Prague public transportation bus timetable. The information are also available at www.jizdnirady.cz. There is a switch to English version in the right down corner of the page.